A hospital administrator with a clipboard is in search of a physician who isn’t following “evidence-based guidelines”. There are fads in medicine just as there are in fashion—today’s “evidence-based medicine” may be tomorrow’s malpractice. Did your hospital, like so many, abruptly switch from povidone-iodine antiseptic solution to ChloraPrep® for cleaning a patient’s skin before surgery? If so, I’m sure the staff was told that ChloraPrep would be more effective and cheaper. No doubt, they were also warned of the extra precautions that must be taken with ChloraPrep to prevent operating room fires, since ChloraPrep contains highly flammable 70% isopropyl alcohol in addition to chlorhexidine. Even the fire risk apparently wasn’t enough to make hospitals think twice before switching antiseptics. You (and your hospital’s staff) may not have heard this news. The US Department of Justice (DOJ) announced last month that CareFusion Corp. would pay the government a $40.1 million settlement to resolve allegations that the company violated the False Claims Act by paying kickbacks to boost sales of ChloraPrep and promoting it for uses that aren’t FDA-approved. Who received kickbacks? According to the DOJ’s press release, the complaint alleged that “CareFusion paid $11.6 million in kickbacks to Dr. Charles Denham while Denham served as the co-chair of the Safe Practices Committee at the National Quality Forum, a non-profit organization that reviews, endorses, and recommends standardized health care performance measures and practices.” Another physician with close ties to CareFusion, Dr. Rabih Darouiche, was the lead investigator on a 2010 NEJM article which concluded (not surprisingly) that Chloraprep was “significantly more protective” than povidone-iodine against surgical site infections. Are you still feeling good about evidenced-based medicine? Then you haven’t looked closely enough at another quality measure your hospital may track: the use of beta-blockers, a type of blood pressure medicine, around the time that patients undergo surgery. 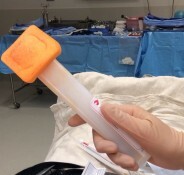 The Surgical Care Improvement Project (SCIP) has defined beta-blocker use as a “core measure” of hospital quality, stating that a patient who has been taking a beta-blocker prior to arrival for surgery must receive a beta-blocker while in the hospital. The medication must be taken, SCIP says, either the day before or the day of surgery, and on either postoperative day 1 or 2. Is there a controlled study that demonstrates conclusively that the SCIP beta-blocker measure makes surgical patients healthier? Or that they recover better from surgery? No, there isn’t. Does the SCIP measure track whether the patient’s blood pressure or heart rate are maintained within a normal range? No, it doesn’t. All it says is that the patient should receive an unspecified dose of one of a number of drugs in the beta-blocker class. A physician can be “compliant” with the SCIP measure by prescribing only a tiny dose of esmolol, a beta-blocker whose duration of effect can be measured in seconds. You don’t have to be a cardiologist to figure out that this is ridiculous. What’s worse is that aggressive beta-blocker use around the time of surgery may be hazardous. A 2013 review and meta-analysis of the medical literature concluded that starting beta-blockers before surgery caused a 27% risk increase in 30-day all-cause mortality. Beta-blockade reduced the incidence of heart attacks, but increased the incidence of strokes and dangerously low blood pressure. Larry Husten of Forbes.com has been reporting the damage caused by the Poldermans research misconduct with the overwrought headline: “Medicine or Mass Murder? Guideline Based on Discredited Research May Have Caused 800,000 Deaths in Europe Over the Last 5 Years.” Even if Husten exaggerates, it would be reasonable to suspend the use of the SCIP beta-blocker measure pending further review. Good control of a patient’s blood pressure and heart rate is a doctor’s version of common sense, and another medication might be better than a beta-blocker for a specific patient’s needs. First-class chefs don’t base their success on slavish adherence to a cookbook recipe. Sadly, the federal government has seized on adherence to “evidence-based guidelines” as a way of demonstrating “quality” in health care. On February 6, key lawmakers unveiled plans to replace the Medicare Sustainable Growth Rate (SGR) formula with a new “Merit-Based Incentive Payment System” for physicians. This system will include payment bonuses or penalties based on a composite performance score. Patients as well as physicians should be frightened at the prospect that the government’s version of guidelines for care will forcibly replace physician judgment and experience in caring for patients as individuals. The good news about the CareFusion settlement is that we may be seeing less of Dr. Denham on the patient safety lecture circuit, playing clips of “Chasing Zero”, the video he produced with his new best friend, actor Dennis Quaid. The bad news: hospitals and government agencies hate to admit they’re wrong, whether it’s about ChloraPrep, beta-blockers, or any other bureaucrat’s idea of “quality” in health care. I have personal experience with standard protocols and core measures as a result of the abdominal surgery I underwent a couple of months ago. From the hospital’s point of view, I’m sure I met every one of the “targets” they set for me on my “care pathway”. The only glitch is that I developed a superficial wound infection that took more than two weeks to clear up. The hospital’s statistics won’t reflect that, because it only became apparent after I left for home. Which skin prep solution was used for my case? You guessed it–ChloraPrep. Next time I’ll ask for Betadine. You hit it right as usual Karen. In my mind, there was never any reason to switch from Betadine. The 2-pass system with a foamy scrub followed by a paint destroys all bacteria since the iodine is indiscriminate in its penchant for killing bacteria. On the other hand, it seems that alcohol evaporates, so although Chloraprep may kill initially, it is gone within a few minutes, whereas the iodine remains on the skin. This is a really interesting article, thank you for posting. The hospital that I work at is on the evidence-based practice bandwagon right now and we have seen a lot of changes that just don’t make any sense at all to those of us that have been in healthcare for 20+ years. In regards to Betadine versus chlo prep, I remember when I was in college and taking microbiology, we did experiments using alcohol versus Betadine and it was clearly proven that alcohol was pretty ineffective in killing bacteria. Betadine however did the trick in all of our experiments. This is stuck out in my head over the past 24+ years that I have been an RN. Facilities that I have worked at over the years have used many alcohol-based hand sanitizers and skin preps. Although I am compliant because I don’t want to get written up, I use what is policy . I doubt if they were to be done again, the results would be any different alcohol is alcohol and it doesn’t effectively kill bacteria. Patient safety advocacy is big business. Well, there has been a long-standing, massive, large-scale misinterpretation of evidence concerning chlorhexidine and its role in skin antisepsis. People in droves were comparing the clinical outcomes from a combination of chlorhexidine and alcohol (i.e. two antiseptics) against povidone-iodine alone (i.e. one antiseptic) and were concluding that “chlorhexidine is better than povidone-iodine.” Such a conclusion is obviously incorrect. It has been known for many decades from microbiological studies that alcohols are about 10 times more effective as skin antiseptics than either chlorhexidine or povidone-iodine. So, a better comparison would be chlorhexidine-alcohol combinations versus iodine-alcohol combinations. Maiwald M, Chan ESY (2012) The Forgotten Role of Alcohol: A Systematic Review and Meta-Analysis of the Clinical Efficacy and Perceived Role of Chlorhexidine in Skin Antisepsis. PLoS ONE 7(9): e44277. The ethics of these board members who are simply earning off the backs of working physicians is terrible-so hw does this affect YOUR perception of their programs. The ABIM has amassed a $45 million debt under Cassel as well (see IRS 990 at guidestar.com). I have no faith in an insolvent board led by unethical individuals! Paul, if I could hug you right now, I surely would! I’m a relatively new physician… Residency trained, board certified and practicing hospital medicine for three years. I have felt so caught up in this web of CME credits, MOC projects? Licensure renewal as well as trying to keep up with my actual doctoring job and life outside of medicine, that I’ve become overwhelmed and frustrated by the reality of healthcare not being what I thought it was, I’ve now been strongly considering moving out of clinical medicine. All of the years I worked so hard, now I’m questioning how this is going to affect the rest of my life as well as my family’s life. If they just want a big check every 2-3 years, then just say so. Leave the lifelong learning and and to improve quality in medicine up to the people who’ve already sacrificed their lives to do just that. Thanks for your sentiments… Nice to know I’m not alone. Thank you for a great piece Dr. Sullivan Sibert. I humbly propose that medical doctors who have always seen themselves as persons of science and reason do not so easily relinquish the rights to the now-trendy term of “evidence-based medicine” and allow it to be further tainted. “Evidence-based medicine” is, whether we want to admit it or not, the very thing that distinguishes us from astrologers and alchemists. The observant, rational and most successful among us have been practicing it since prehistorical times and indeed it sits at the heart of good medicine. So why let it be highjacked by the pencil-pushing suits with the clipboard? To promote skepticism of “EBM” because of some corrupt administrators and bureaucrats is like promoting distrust of “science” because some wacky scientist somewhere is depleting uranium for a dirty bomb. Instead, I think it’s time that clinicians reclaim the term by demanding appropriate representation by other scrub-wearing clinicians at all the levels of administration and in the process of policy making. “Best evidence is best evidence” but we also know that “always” is rarely used in medicine. This is why EBM must establish *guidelines*, not rules and laws, so as to not interfere with the unique situation between a given patient and her doctor. Outstanding post and outstanding reply. It is hard for me to get a firm grasp on what the beurocrats are saving us from. Over the past 10 years NICE has identified over 800 clinical interventions for potential disinvestment. testing standard of care, 146 (40.2%) reversed that practice, whereas 138 (38.0%) reaffirmed it. medical practice. This investigation sheds light on low-value practices and patterns of medical research. The importance of NOT simply believing the newest guideline that conflicts often with many older and other specialty guidelines is important, yet also play a significant role in those trying to “pass the boards” as experienced clinicians at re certification instead of simply going with the only thing you know immediately after residency. YOu know too much to simply believe a new guideline! And of course the questions are never published and right answers put to critical evaluation after the fact. The Boards have complete control and authority-a real problem for any democratic thinkers out there. Then the fact that failure rates as high as 29-33% have occurred in recent years for the primary care specialties IM and FP-no wonder no one wants to go into these shortfall specialties to be castrated by their boards. With over 167 DIFFERENT board certificates, they will NEVER be a standard across the specialties and as an index of Quality (as sold by the ABMS) we there is ABSOLUTELY NO PROOF that this is the case. Thanks Pedsmom for the support. Very thought provoking. It seems obvious to me that “non-clinicians” will have to learn the hard way that medicine is still an art and not a cookbook. Unfortunately, we may have to endure some bumps before the final product of American medicine regains our status among patients. As a corollary to the art not science theme, good medicine can only be practiced by very intelligent, thoroughly trained individuals who can put together the varieties of relevant new and old evidence, basic science education, an understanding of statistics, and experience to synthesize the correct path of diagnosis and management. Undertrained individuals with the latest algorithm are no substitute. Another one for your files Karen. In twenty + years of performing laparoscopic inguinal hernia repairs, I have NEVER seen an infection. (N – approx. 2K) It just doesn’t happen, because we’re working inside the sterile environs of the abdominal cavity. However, according the SCIP guideline I must give an IV antibiotic to every patient within 30 minutes of making the skin incision. So dutifully a gram of Ancef, or some other equally broad spectrum and totally unnecessary antibiotic, is administered as we head back to the OR. These patients routine go home from the recovery room and I would estimate at least ten percent call within three to five days with unexplained diarrhea. In the last ten years I have seen no fewer than five cases of extremely symptomatic C. diff enterocolitis, which is clearly antibiotic induced. I would defy anyone to provide the logic behind giving a drug that prevents a problem that is virtually never seen yet cause a significant number of patients to suffer a significant, and potentially life-threatening condition they would otherwise not have experienced. Anyone? The ACCP should be added to the list of evidence-less based medicine. Admittedly, with the 9th edition (2012), considerable effort was put forward to diminish the financial and intellectual based conflicts that dominated the ACCP through the 8th edition. This year, the CMS has mostly caught up with the AAOS recommendations for VTEP from 2007. However, the decades of evidence-less based guidelines in the field of VTEP have caused great suffering. Thankfully, in 2014 it is again legal to practice good medicine in this small corner of orthopaedics. In the fast pace ambulatory surgery centers where lap gall bladders are done consistently in 15 minutes skin to skin, anesthesiologists are doing LMA successfully. No problems. Academic programs where most of the papers are manufactured do not address this. Those administrators with clipboards are not only pushing corporate interests that seem evidenced based, they are the main perpetrators of policy totally unsubstantiated by evidence, but supported by “associations” in literature produced by corporate bias. The American Boards have taken the lifelong certifications attesting attainment of consultant status, used “time limits” to require repeat purchase after 8-10 years and now mandate “continuous MOC” (http://moc2014.abim.org/whats-changing.aspx). In spite of over 7 decades of existence and many attempts by the ABMS to document that certification makes any difference-they have failed to do so: Certification is at best a slight, or possibly false, promise,recently openly admitted by the ABMS: ‘FACT: ABMS recognizes that regardless of the profession – whether it is health care, law enforcement, education or accounting – there is no certification that guarantees performance or positive outcomes’. It is time for all physicians to simply stop buckling down to clipboards, legislation and corporate propaganda. Quit the recertification extortion NOW before it does become mandatory-change hospital bylaws, state and insurance legislation via all STATE medical societies, as they are not part of the certification industrial complex and all laws are state matters! The post about the lack of evidence that board certification makes a difference in outcome reinforces what I have observed over a career in medicine. Even worse is the way register physicians are treated. I received my core board certification before they had to be renewed. However, my sub specialty boards must be renewed every 10 years. One year after I retired I found that I wanted to return to work part time. A few weeks after returning to work, my subspecialty board came up for renewal. However I discovered that in order to be “eligible” to take boards I had to have worked 25% for the previous year. So I was not eligible, nor would I ever become eligible because I worked only 20%. That is nothing more than subtle discrimination against older physicians. Nor is there any evidence that those artificial barriers to recertification lead to better patient care. Nurses are noticing this too, especially now that reimbursement is tied to compliance with core measure criteria. I have seen blind adherence to the VTE prophylaxis core measure result in a catastrophic SDH that was not amenable to surgical treatment. Core Measures are killing our patients. Thank you for writing this article and questioning the new status quo. 1. this came out to open public knowledge because of an insider whistleblower. Other wise we all intelligent doctors would be waving our heads and wagging our tails . 2 . we go from extremes of every situation. Doctors in Vienna would do a autopsy on a mother and then not even washing hands with water go do pelvic exam and causes puerperal fever and death. then came every medical students ritual in operating room ” the five minutes ” scrub with iodine. and now surgeons don’t even wash there hands before surgery. They are supposed to do scrub before the first case and between case use that hand sanitizer. I rarely see any surgeons at the scrub sink washing hands. The sanitizer is in the room . I can promise you if somebody does a study of comparing washing the extremity with water and soap and compared to povidone or chloraprep – there will be no difference in incidence of infection . The minimum expected of surgeons these days is to wash their hand after using the toilet before starting a case. .there are surgeons who are even skimping on that . 3 . how many times I hear from the CRNa asking at time that does the patient need preoperative antibiotics on case of abscess. The rote following of EBM guidelines. The person has an abscess and he is already infected and on antibiotics for treatment, what are you trying to prevent SSI? . My favorite is arguing middle of night with pharmacist. Who wants me to stop antibiotics within 24 hours. He wants me to document it is infected to continue antibiotics. My pleas that the would is devitalized and contaminated do not hold any meaning .rules are rules you need to stop the antibiotics .the pharmacist is on the SCIP committee . 4 many cardiologist have told me stories of how patient will come to there office with generalized weakness and dizziness . They had all kind of work up looking for cause. They recently had a surgery. Somebody followed the guidelines and started them on B- Blockers. And somebody unwittingly discharged with a new prescription to continue at home. The moment the cardiologist stop the beta blockers ,next visit pt face is lit up happy and full of energy . There is a reason we have the sympathetic system in our body and designed over million of years and we doctors have found a new way to suppress it and make people feel miserable . Are these VA doctors are signing their names to some of this research for the extra money paid by the pharmaceutical industry. 6. 10.7 million is a lot of money. As they say follow the money. Never found out how much carefusion paid the doc from VA in Houston for his help in the study ? This also leads me to question the use of all the SCIP protocoled antibiotics. Does anybody else feel like they have seen an increase of MRSA, VRE, and multiple other super bugs since the government has started requiring doctors to give specific antibiotics for certain surgeries? Why exactly can the physician not choose the medication? And then the whole Foley catheter situation has been brought up. That is a whole other can of worms. You’ve raised a good question, but there’s another side to it as well. One of the SCIP “rules” is that prophylactic antibiotics have to be discontinued after 24 hours. In other words, if you give an antibiotic to PREVENT infection after surgery, after 24 hours it must be stopped. Many experienced physicians think this rule is based on insufficient evidence. We know that if you’re given an antibiotic, you’re supposed to finish your prescription–all 7 days worth, or 10 days worth–because otherwise the weaker bacteria may have been killed off but the nastier, tougher ones may still be alive. Could the same thing be happening with surgical antibiotics? Could it be that the weaker bacteria succumb to the 24 hrs of antibiotics, but the tougher ones are surviving? I know experienced surgeons who ignore the SCIP rules and continue antibiotics for 5 days after colorectal surgery, because they know from experience that they work better that way and infection rates are actually lower. Karen, you have hit upon the key issue. In a system run by third party payers, chief among them CMS and its army of bureaucrats, there is no place to individual judgement based on experience. Such variables cannot be measures and therefore cannot be managed. Just stick to the “cookbook” to assure payment and keep pushing word like “best practice guidelines”, “pay-for-performance initiatives”, and “quality metrics” and sooner or later everyone will comply… or retire. I am not a physician, nor do I claim to have the knowledge or experience of a physician. I am a nurse, and have only been practicing for five years. Evidence based practice was drilled into us in nursing school, and my colleges reacted in one of two ways (primarily). Either they embrace EBP wholeheartedly and adhere to policy and procedure surrounding the EBP without further thought, or they buck EBP, stating there is no need for change just for the sake of change, and medicine is an ancient art and things should be left alone. Dr. Sullivan Seibert, I appreciate your article, and am surprised to, just now, see it as a widely shared article in social media. Unfortunately, most of the people citing it are on the later of the pendulum for evidence based practice, and presumably haven’t read any number of your publications, opinions, or papers. I want to ask, where do you think practitioners (and yes, I think anesthesiologists are practitioners) hold responsibility in evidence based practice? You cited the Robert Wood Johnson Foundation in one blog post, and their expectation for nurses to “…practice to the full extent of their education and training…[to] achieve higher levels of education and training through an improved education system that promotes seamless academic progression… be full partners, with physicians and other health care professionals, in redesigning health care in the United States…[and to be involved in] effective workforce planning and policy making require[ing a] better data collection and information infrastructure.” As you stated, physicians should be held to practice at the full extent of their license. The IOM quoted the statistic that physicians make up 22.61% of institution and hospital boards, and nurses make up 2.3%. Certainly, if more practitioners (regardless of level) were personally involved in and responsible for research and review, issues like CholraPrep wouldn’t be passed based on one study. Unlike the former group of colleagues, I tend not to take things at face value. I read, investigate, speak collaboratively with physicians about reasons for treatment, and their coinciding opinions. I have furthered my education and am currently working on a MSN/MBA, having started as an ADN. I pursue clinic certifications in and outside my primary role, and subscribe to several professional organizations. My question, I suppose, is how we, as practitioners held to the standards of policy and procedure, discern between effective EBP and bureaucratic garbage? Certainly you aren’t practicing in the same way you were in 1985. Although many things, I’m sure, are similar, evidence based practice has affected your practice. I look forward to your response, and congratulations on your resignation and new position. 1. If a study’s results seem very dramatic and different from prior knowledge, be suspicious. Look to see if the study was based on a small number of patients. If so, subsequent larger studies are unlikely to produce the same statistical results. 2. In so far as you are able, do not dramatically change common sense practices that have stood the test of time on the basis of one new headline. 3. Look at studies to see if they are actually process studies or outcome studies. For example, there are a number of infection control studies based on bacterial counts on scrubs washed at home or in the hospital laundry. Yet no one (to my knowledge) has done a common sense look at bacterial counts on scrubs at 3 pm after the wearer has made several trips to the bathroom, or looked at actual wound infection rates in patients who were looked after by staff wearing scrubs washed at home compared to scrubs washed in the hospital. I am not advocating home laundry specifically; just making the point that it is important to look at the quality of the science. I do have other articles on this topic on my blog–have a look at “Germs and the Pseudoscience of Quality Improvement”, and “The Dark Side of Quality”, both of which are more thorough looks at the subject. All best wishes, and thank you again for taking the time to read and comment. Your mistake is disparaging evidence based medicine when the issue is those who bias the evidence. Further, you use your personal n=1 to support a statement that fits your bias. You have committed the very fraud you disparage. Illuminating the bias is criticial, but so is getting the conclusion right. 1. Study results, though initially promising, can’t be reproduced. This is often due to small sample size. As a general rule, if results seem too dramatic or too good to be true, they probably won’t be reproducible in larger studies. 2. The conclusion drawn from the evidence is based on flawed logic, such as the “post hoc ergo propter hoc” fallacy. You may remember the early theory that AIDS was caused by inhaled nitrites, simply because a number of AIDS patients had used them recreationally. 3. The evidence itself is based on fraud. I think this is what irritated me the most about beta-blockade and about ChloraPrep. Once the study results turn into policy, “pay for performance”, and enforced use, it is painfully hard to turn the process around. My personal n = 1 story is an anecdote, obviously, and nothing more. For further reading, and more dubious “evidence”, please have a look at two other, more complete articles on this site: “Germs and the Pseudoscience of Quality Improvement”, and “The Dark Side of Quality”. Thank you for this article. In the face of contemporaneous disclosures about psychiatric practices vis-a-vis the DSM and conflicts of interest between industry and mental health researchers, I feel strongly that we need continue to discuss this issue. Of late, as an RN Patient Advocate, I have spent considerable time debunking the evidence of evidence-based medicine. E-B was actually endorsed to prevent this type of scam with the providone-iodine substitute. But instead often becomes a rigorous enforced standard of care (read “Super Markeying”). Take mammograms (pkease). The current US Prevention Taskforce recommendations are every other year beginning at 50 until age 74. This is a far cry, and a great financial loss, from original mammogram company recommendations. This new standard is evidebce-based, but so, too, claims the American Cancer Society (and it’s financial backrrs) is theirs that the test ve annually from age 45 ad infinitum. Need evidence? Take your pick, then institutionalize ut, require it, incentives it, badger with it, profit from it. By the wsy: I recently had three patients with severe allergies to iodine, who were asked by their surgeons, “You’re not allergic to iodine on your skin though, are you?” (At least they asked). One said, “Yes, I AM allergic to betadine, and us healing fine. The other two, who shrugged, not knowing as the DOCTOR shold that if you are allergic to iodine, you are allergic to betadine, are now struggling with itchy red rashes and excoriated and infected incisions.we do need an alternative to betadine, that is truly evidence based. Of greater concern in my practice is the arrogant assumption (and scientific mortal sin) that Absence of Evidence is Evidence of Absence. gor exsmple: My patients who come to the hospital and report, “I have a really bad reaction to narcotics. They cause more pain.” If one more anesthesiologist say, “No you don’t” and gives narcotics anyway, I will call the police for assault. Another example of Absence of Evidence assimptions: As a nursing student I was sure from my readings that I had reactive hypoglycemia. Yes, we thought we had every symptom we learned about. But this one made sense. I went to my doctor who said it is a very rare malady, and a current fad illness, and he refused to test me for it. Over the next 5 yearrs, 3 other doctors would not test me. Yhen, when I was pregnsnt, my doctor insisted on a 3 hour GTT. Voila! Clear evidence of Reactive Hypoglycemia! But, he said, These results don’t make any sense.” Or is that “cents”. Thankfully I was already on the right diet. So, if you don’t test for a disorder because it is rsre, guess what? The diagnosis stays rare! I have little faith in current evidence-based practice. We need W I SDOM-BASED care. And to value common sense and what patient’s know to be true. I ask, “Who benefits from this medical intervention?” It better be the patient. Very interesting article. Can’t disagree but let’s not villain-ize hospitals and people who work in Quality Departments. Hospitals are held hostage to following standards that are promoted by these quality agencies (and therefore the government) to stay alive for their communities! As a nurse for 30+ years and a Quality Department representative for 12+ years, I cringe when my clinical colleagues think of me as a “clipboard”. I’d like to think I bring more to the table than that! In addition, and as long as we’re promoting individuality, let’s not portray all providers as having the ultimate “wisdom” – I think we all know better than that!